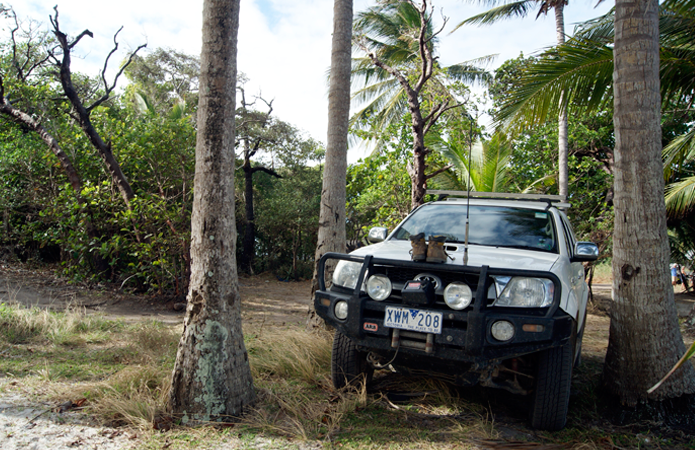 Archer Point in north Queensland is one of my favorites hideouts in Australia so far. John took us here for on an afternoon field trip and I would gladly spend every afternoon here. 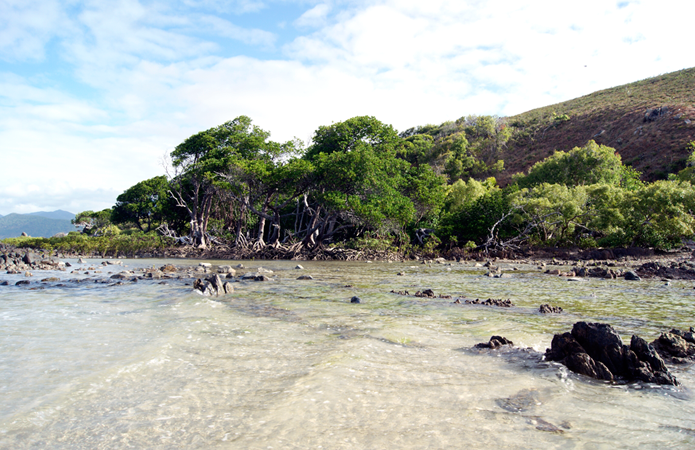 About 20km south of Cooktown, Archer Point is maintained by the Aboriginal community Yuku Baja Miluku. The official territory is over 22,000 hectares but all you need to worry about it the coastline. To get to the beach you drive through the national forest within Archer Point, and you've reached the beach when you see campers and old vans which look like they came straight from Woodstock parked in the sand. 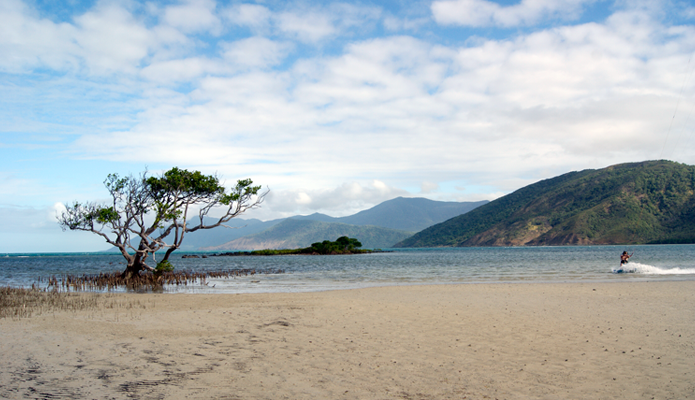 Look beyond the campers and you'll see perfectly clear water, fine white sand, and coastal rainforest. It's the picture of paradise. 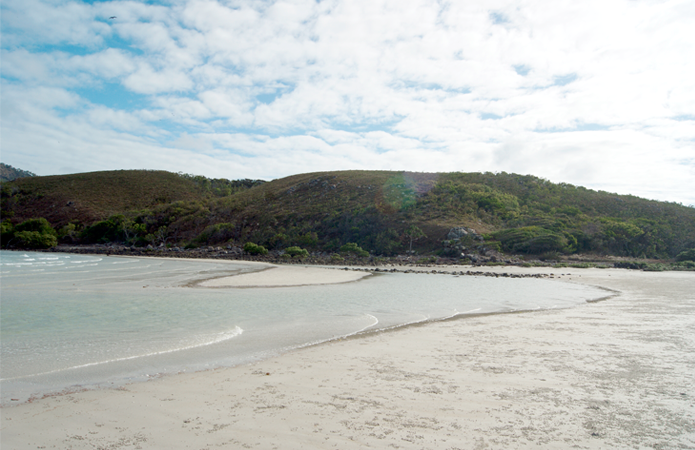 This is saltwater crocodile territory... which unfortunately means, no swimming unless you want to dance with death. When the tide is out, there will be small pools created which you can splash around in, but most people would not recommend getting in the water, even the shallow area where you can see the bottom. The majority of Queenslanders are very cautious and sensible when it comes to "salties". 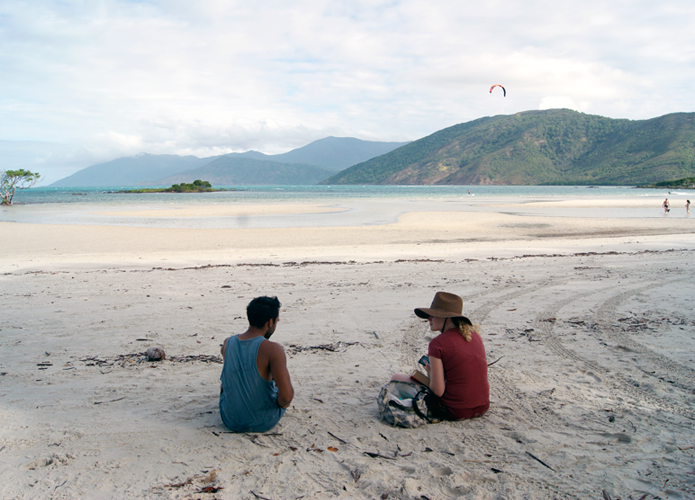 While we were there a few kite surfers were out, and none of them got eaten so they survived in the water. But you definitely won't see people swimming around in these waters... or at most Queensland beaches for that matter. I've been told you can catch fresh oysters on the far side by the rocks when the tide is out. We tried our luck but came up empty-handed. So instead we had coconut water fresh off the tree and hung out in the hammock. Every afternoon should be spent like this; the whole world would be happy. 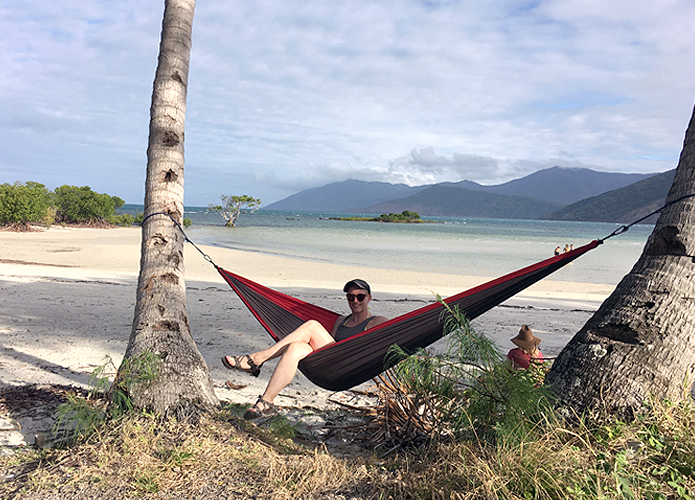 After you get your fill on the beach chasing crabs, hunting oysters or just napping, continue the drive along the coast a little further to see a few more camping spots and a lookout hill at the end of the road. From the lookout, you'll see up and down the coast and over the national park. 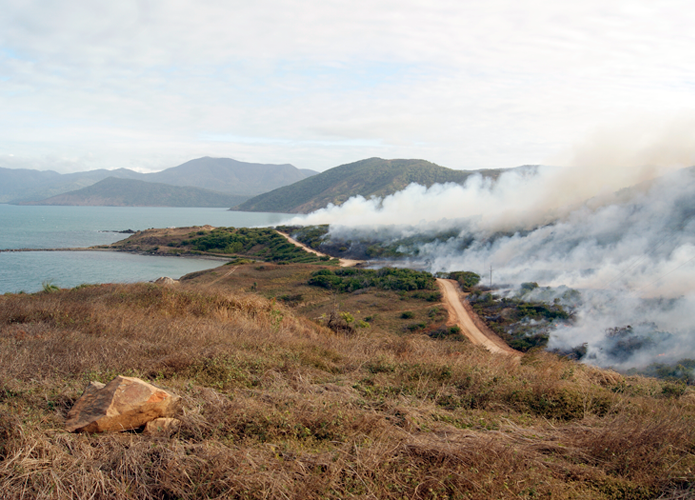 The day we visited there was controlled bush fires all over. It made for a smoky drive through the forest but offered some awesome views once we got up higher.